Functions: hours, minutes, small seconds. 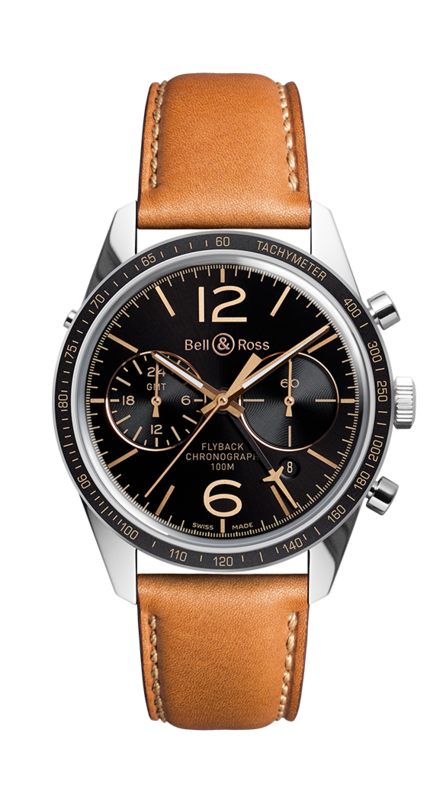 Chronograph with flyback function (system for quickly resetting and restarting the chronograph timer. The flyback function makes it quicker to take successive time measurements). Second 24h time zone. Two counters (Second time zone and 60-second timer). Date. Tachymeter scale. Case: polished steel. 43 mm diameter. Steel fixed bezel with aluminium ring. Screw-down sapphire crystal case back with anti-reflective coating. Dial: black. Gilt applique numerals and indexes. Skeleton gilt hour and minute hands filled with Superluminova®.